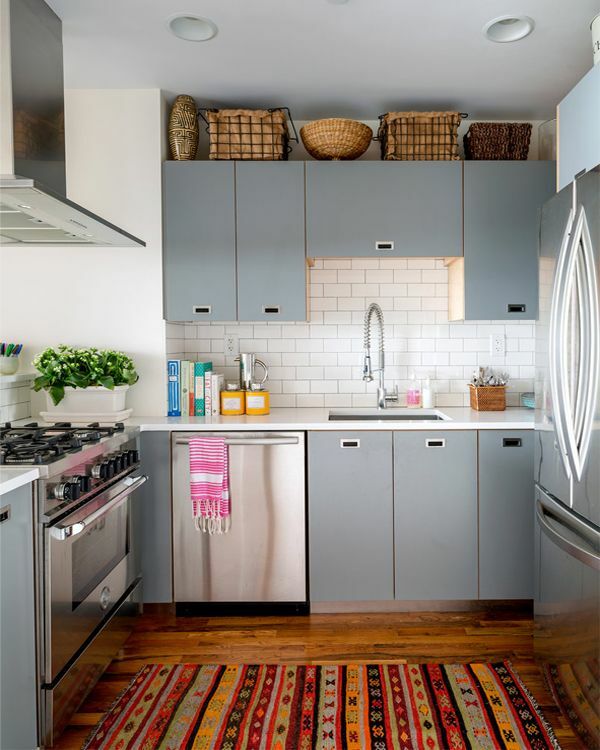 Kilim Rugs Are Magnificent Everywhere! 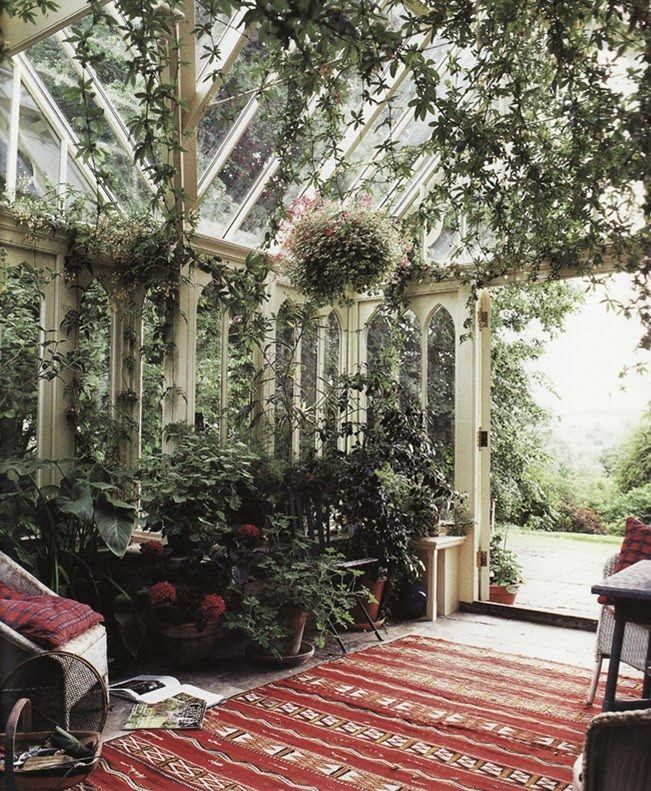 Indoors, outdoors, as pillows, office layers or even a bathroom rug (!) 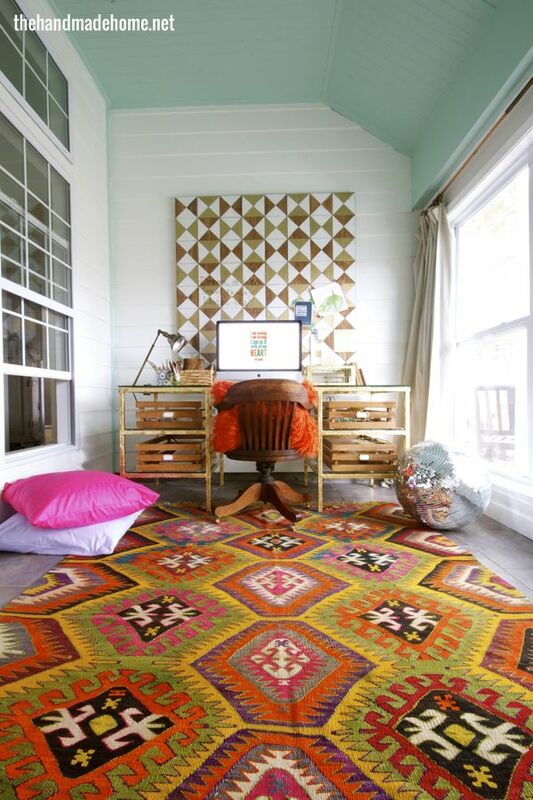 the power of a colorful kilim is rhythmic, cheerful and energetically divine! Far more subdued, traditionally exotic. 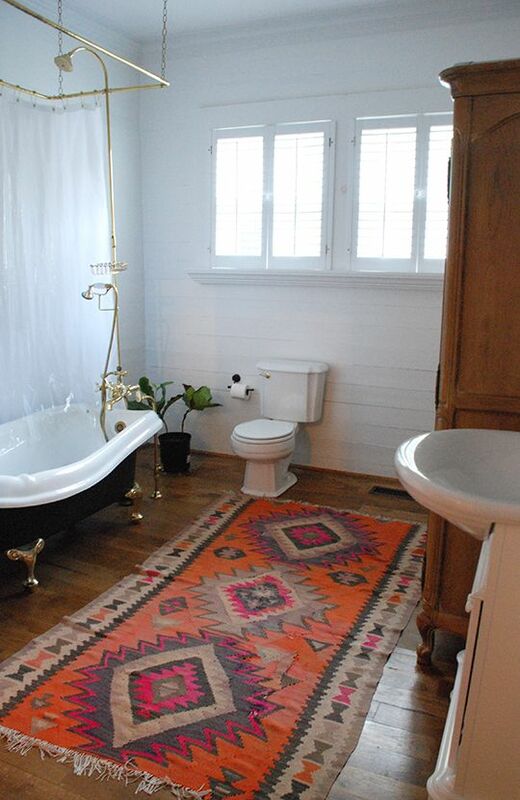 Favorite bathroom rug ever. Make sure you have an excellent non-slip mat under this one! Love this look but be very very aware that this is dangeruos unless it absolutely won’t budge from its place as you are walking around wiith knives and boiling pots of food. I prefer these under breakfast tables! 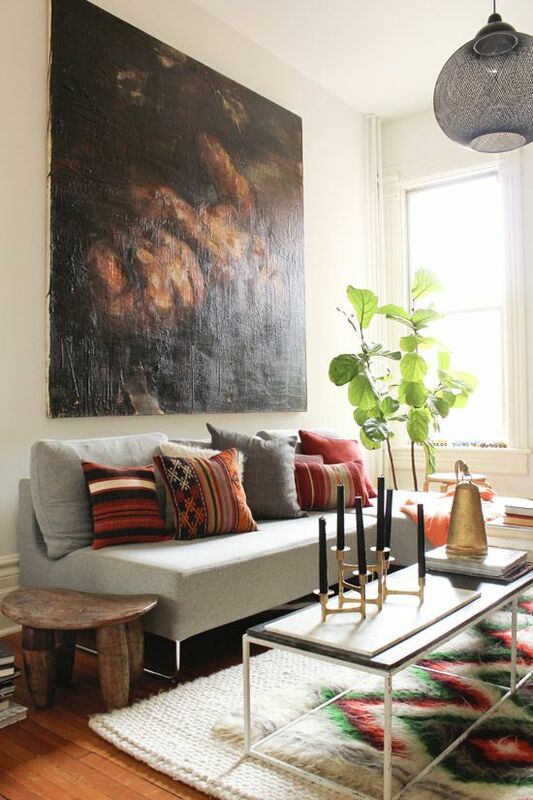 Lush layers that recall the kilim, mixed with kilim pillows. Amazing, incredible, gorgeous…! Previous post: You Have The Power To Imagine Better! 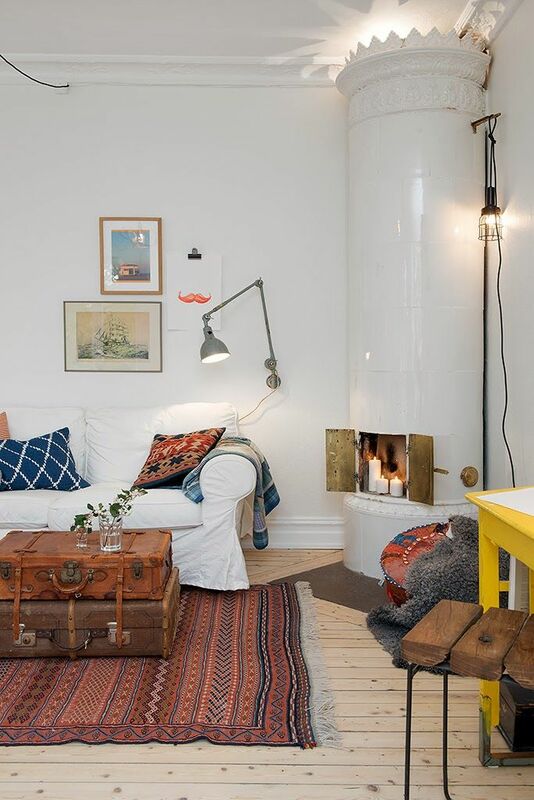 Next post: Eclectic Decor Mixology!